Allspice, Pimenta officinalis , is an aromatic, digestive stimulant, whose taste, aroma and properties resemble a combination of cloves, juniper berries, cinnamon, and pepper. 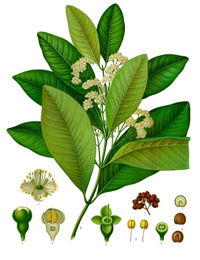 The essential oil extracted from allspice contains a good deal of eugenol, the same oil extracted from cloves. 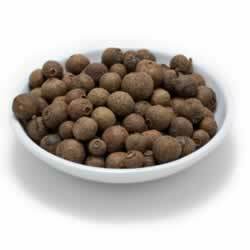 Adding allspice to herbal teas as well as foods aids in digestion. 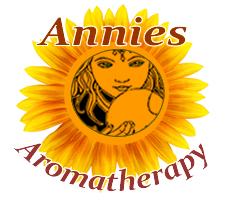 Allspice essential oil is steam distilled from the berries of the tree. It has a warm, spicy-sweet comforting aroma that is reminiscent of cloves and cinnamon, lifting the spirit and inspiring confidence. Allspice is the dried fruit of the Pimenta, an evergreen tree indigenous to southern Mexico through Central America and the Caribbean. Jamaican allspice has been considered superior because of its higher oil content, better appearance and clove-like aroma and flavor. This popular spice is used in many of our favorite Christmas recipes, and can aid in digestion of heavy holiday meals. The familiar, clove-like aroma is comforting, lifting the spirit and inspiring confidence.